A rich boy tries to identify the girl to marry from his 3 childhood friends. © 2018 Scratchu.com Chukkallo Chandrudu | Siddharth, Akkineni Nageshwara Rao, Suneel, Saloni Aswani, Charmy Kaur, Sada, Tanikella Bharani, Lakshman Rao Kondavalasa, Lakshmi, Prathap Pothen, Aahuthi Prasad, K.R. 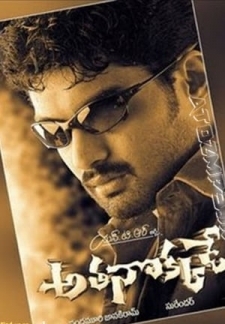 Vijaya - Chukkallo Chandrudu (2006) | Telugu Movie | 5.6/10 | Synopsis : A rich boy tries to identify the girl to marry from his 3 childhood friends.... Watch Online!! !